Burns Road: The food Street of Karachi. – TALES OF STREETS IN KARACHI. TALES OF STREETS IN KARACHI. It is all about you, it is all about me, it is all about people around us, it is all about US. 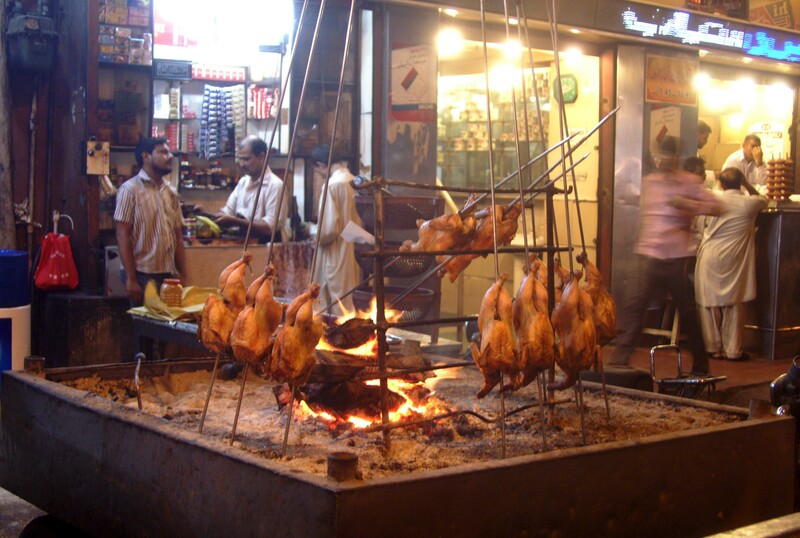 Burns Road: The food Street of Karachi. Fried Fish Seller dealing with customer at famous food street burn road, Photo by Yasir Kazmi, Karachi, Pakistan. Burns Road, is a street in old downtown Karachi, Sindh, Pakistan. Because of different vowels in the Urdu language, it is generally referred to as “Buns Road” by locals, Photo by Yasir Kazmi, Karachi, Pakistan. Different Food vendors standing and preparing food for their customers at famous Food Street burn Road, Photo by Yasir Kazmi, Karachi, Pakistan. Beaf vendor at resturant displaying different kind of Beaf at famous food street Burns Road, Photo by Yasir Kazmi, Karachi, Pakistan. 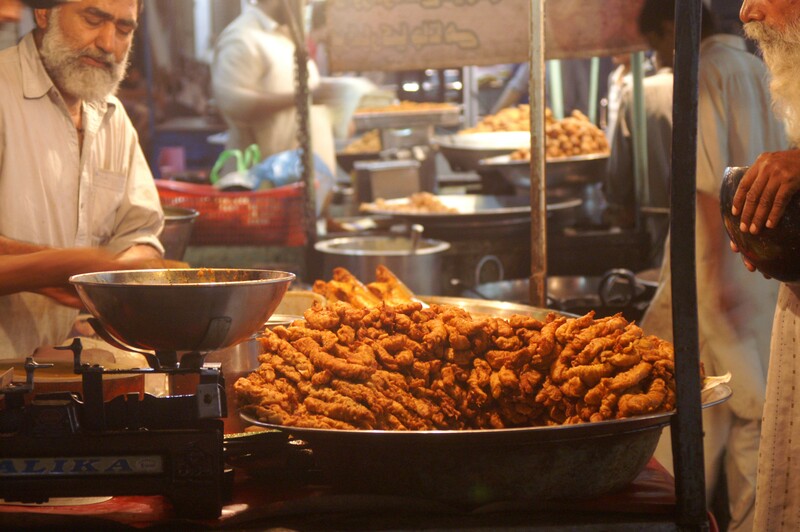 Fried Chicken displayed by resturant staff at famous food street burns road, Photo by Yasir Kazmi, Karachi, Pakistan. from the very beginning, always been the ideal eating place for all people from all classes of society. Located right in the heart of the city center, Burns Road is a crowded two way road where you are likely to get caught in traffic because of the double parkings on either side. The restaurants along the road are packed with people at peak hours, and the roads are packed with even more cars, making it all the more difficult for anyone else to get across the road. Burns Road is famous for its traditional food offerings such as Biryani and Karahi, Dhaga Kabab, Fry Kabab, Nihari, Haleem and fried finger fish. More specialties including Kheer, Rabri, Ras Malai, Ras Gulay, Lassi and Dahi Bara. There are a couple of Halwa Puri stalls too which serve Halwa Puri for breakfast. The famous Lassi shops have been around since post partition period and also serve Milk with dry fruits. They also have Mango Shake (Aam Ki Botal) and Mango ice-cream during Mango season and Gajar Carrot Ka Halwa in winter. They usually open 6 or 7 am and stay open till 2 ammidnight and later on weekends. Burns Road also boasts of two well known sweets shops, Fresco and Bhashanis; that is a great boon for Desi sweets lovers. 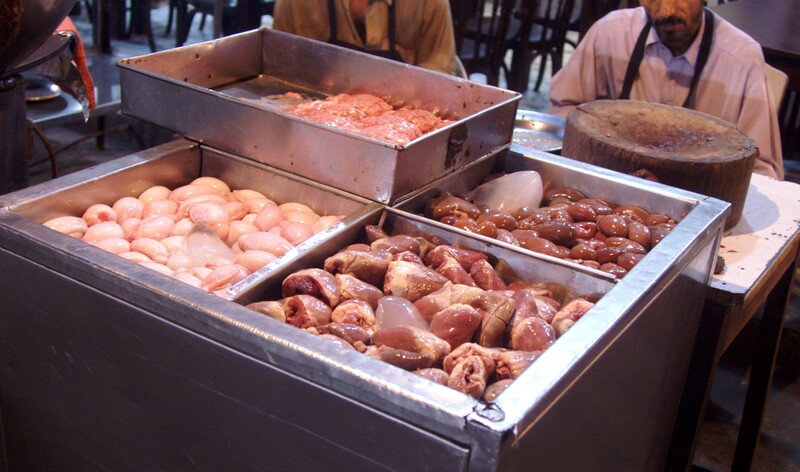 Pingback: Burns Road: The food Street of Karachi. | TALES OF STREETS IN KARACHI. Great article. I will be covering Burns Road on my website within a few days as well. You can also check http://www.streetfoodkarachi.com its a website dedicated to the roadside food of Karachi. Previous Previous post: Urban Poverty: Election and Expextation. 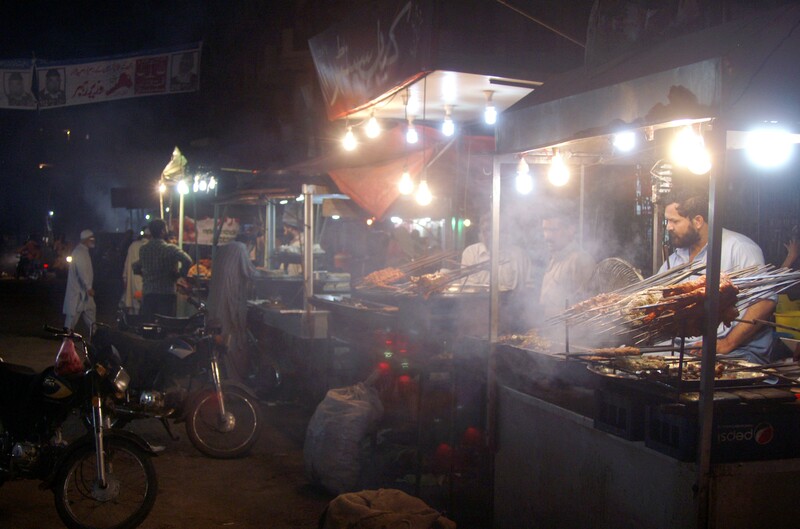 Next Next post: Burns Road: The food Street of Karachi.